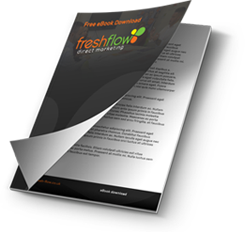 Fresh Flow are experts in B2B general marketing. We’ve seen some rapid changes happening in the market over the past few years. Businesses are now finding it more difficult not only to generate leads but also to convert them! We work in close partnership with B2B businesses to develop their marketing strategy to be successful in the modern B2B world. With new digital technology and more time being spent online by your buyers than ever before, our approach as marketers is fresh and innovative. Innovation is driven by culture change! We can provide a complete outsourced marketing department service or deliver extra resource to your existing in-house team. Outsourcing your marketing to Fresh Flow will enable you to enjoy the benefits of our wide range of skills and expertise without the financial overheads of an internal marketing department. You can concentrate on running your business, secure in the knowledge that your marketing is in safe hands. We will make sure that the dynamic planning and execution is maintained and your sales funnel is substantially improved. We also bring a fresh, external perspective and our wide range of experience of working in a number of different market sectors. Our clients appreciate our strategic input and the significant knowledge and optimism our range of services provide. We go to great lengths in understanding your business requirements; using those insights to identify and explore new marketing opportunities. Advertising: Recommending where to place adverts, booking advertising and designing the artwork. Direct Mail: Identifying target markets and decision makers, preparing mailing lists and writing direct mail letters. Social Media: Setting up and managing your social media accounts such as Twitter, Facebook, LinkedIn and Google Plus. Copywriting: Writing content for brochures, flyers, blogs, websites and other marketing literature. Public Relations (PR): Getting your message in the relevant press – drafting press releases and media relations. Graphic Design: Designing logos, branding, brochures and all your marketing materials. Email Marketing: Creating branded emails, writing email content, sending emails and evaluating performance. Digital Marketing: Website redevelopment projects, managing websites, digital advertising and managing social media and content marketing. Do you have a strategy to look after those people who do visit your website? Do you have a strategy to identify marketing qualified and sales qualified leads? If you haven’t considered changing your approach, get in touch now to find out why you should, and how Fresh Flow can help! To win new business, to successfully grow your revenue and market-share you need to feed your Sales funnel with a continual flow of well-qualified sales enquiries. Our skilled marketers take an intelligent, relationship-based approach to lead generation. We understand that leads need to convert to sales. 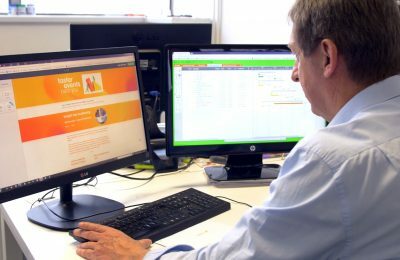 So we work with you to understand what leads you want – appointments, web demonstrations, telephone appointments, technical specifications or quotes. Each of our customers is different. So even though we probably have a wealth of experience working with similar customers, we go through a detailed briefing process to ensure we generate the quality of leads through our integrated marketing, that you need to deliver return on investment from your campaign. Our focus is on generating qualified, high-quality leads that you can convert to new business. Our talented marketing teams identify the right contact at your prospect accounts and build a lasting relationship with them. Once we identify a business requirement; we stay in touch with the prospect if they are not immediately ready to buy, meet or discuss what you can offer in more detail with you. Often we integrate email and digital marketing into the mix to build your brand image and re-enforce your message. Once we have engaged with the prospect, qualified their needs and stimulated their interest we agree the appropriate next action and carefully pass the relationship over to you. Just tell us if you want face to face appointments, quotes or web demos and rely upon the expertise of our team to do the rest. Sales are reliant upon the attitude of the salesperson, not the attitude of the prospect!